With Etymotic Research (literally, ‘True to the Ear’) is the closest you can get to pouring high definition sound directly into the goblet of your ears. Founded in 1983 by Mead Killion, Etymotic Research was one of the pioneers in ushering in new age electronics with open arms. By 1984, the company was already on its way to utilising its founder’s 20 years worth of electrical expertise and knowledge on audiology to bring out few of the world’s finest research headphones of the time. Enhancing and protecting hearing with high-fidelity earphones and headphones was the sole agenda on the company’s to-do list, and Etymotic Research has continued to deliver on that promise with astounding dexterity and commitment for the next half a century. 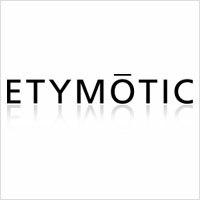 Etymotic Research has gone one step ahead of simple commercialism and blended art and science seamlessly into a concoction that is sheer brilliance. It has given a pantheon of consumers with an equally wide variety of needs, just what they had in mind. Passionate employees, who share the same dream as their founder, work tirelessly to innovate and ideate in order to bring out a range of consumer products that cater to the electronic and telephony markets, alongside products with serious medical usage. Of its many products, insert earphones for audiometry and auditory brainstem response testing, otoacoustic emissions screening and diagnostic devices, directional and array microphones, a real-ear probe microphone for research; K-AMP and Digi-K hearing aid circuitry, Companion Mics, Musicians Earplugs, non-custom high-fidelity passive and electronic earplugs, personal noise dosimeters, a sound level meter and a direct-to-consumer personal sound amplifier are but to name a few. Along the way, Etymotic created an entirely new consumer electronics category: Noise-isolating, high-fidelity in-ear earphones. Not only does Etymotic Research care about providing a rich music experience unlike any other, it also focuses deeply on assessing, improving and protecting hearing abilities for its users. Etymotic came out with ‘insert earphones’ in 1984-85, within couple of years of its foundation, in consultation with the Chicago Symphany Orchestra, for audiometry/ABR. The very next year, came out the ER-8 (K-BASS™) hearing aids and ER-10 Lo-Noise™ Microphone. Low noise microphones for babies, Earhooks and Earplugs later, came the world’s first flat attenuation earplugs in 1988. Technologists around the world heralded K-AMP® Amplifier as breakthrough innovation in the world of audiometry in 1989. Within the next two years, Etymotic Research had come up with the world’s first non custome, high fidelity earphones (1991) and the world’s first noise-isolating, high fidelity in ear monitors (1992). Thus, in less than a decade since its inception, Etymotic Research had taken the world by storm. In the next twenty years, the company turned into gold whatever field of udiometry it touched. From developing (DSD™) and hybrids (1996-97), Remote Probes (2000), Occlusion Scan Meters (2000), Low cost acoustic dampers (2000), Speech in noise Test (2001), Electronic Damping Circuit (2002), Microphone switching system (2004), to the world’s first In ear Bluetooth Stereo Earphone (2006), Personal Noise Dosimeter (2006), Gaming Headsets (2007), Data Logging Dosimeter (2010), Safe Hearing Earphones for Kids (2011), The BEAN™ QSA Quiet Sound Amplifier (2013), Home Hearing Test® (2013) to Online Needs Assessment Tool(2013); the list is endless. Till date, the hundred plus patents for Etymotic Research had, in all senses, made the company live upto its name. 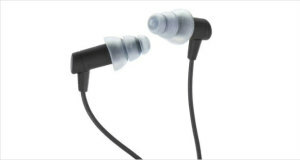 The Etymotic Research HF5 portable in ear earphones are the latest goody in the ER kitty. Placed in the midrange Earphpone bracket, the HF5s give immaculate precision in sound with crisp highs, clear mid and a palpable bass. The Music experience is enhanced by the noise reduction feature that brings down ambient sounds to upto 35-42 dB, allowing almost complete seclusion even in a crowded bus. Much like all of its other line of goodies, the product is aimed for professional and amateur musicians, audiophiles, and young adults who are looking to drown the dorm ruckus.